Nature lovers—and perhaps even casual observers—may have noticed some unusual animals on St. Martin after Hurricane Irma. There are a few different reasons why animals we don’t usually see here may be on the island, or more visible than usual. Hurricanes can bring animals with them, especially birds. Birds can be trapped in the eye of a hurricane for hours or days, forced to move with the storm. There have been many cases where hurricanes have deposited birds far from their home or migratory destination. 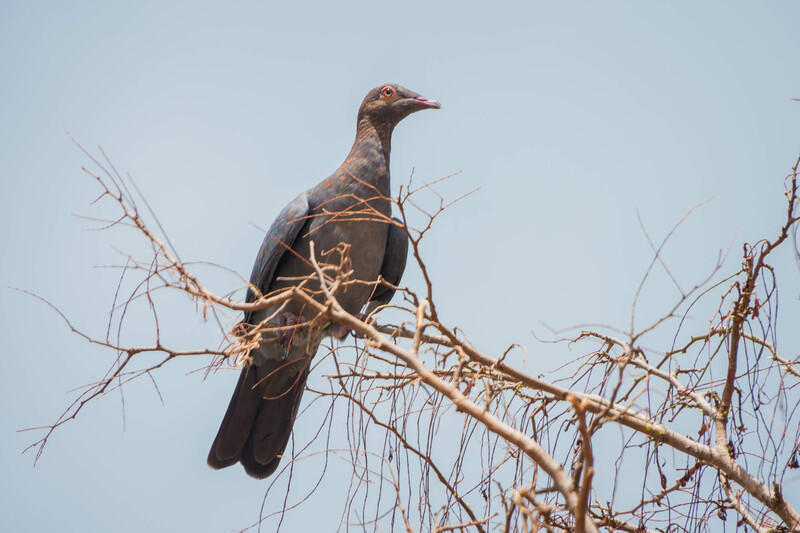 The Scaly-naped Pigeon is not rare, but is rarely seen in town. Some unusual sightings after Irma could be birds brought from islands the storm passed on its way here. However, this would be difficult to know for sure because those islands—like Barbuda—mostly have the same birds that live here. Migratory birds can be thrown off course by hurricanes. Needing rest after flying near or through a storm, they may stop in unfamiliar destinations. A small flock of American Golden Plovers was seen for the first time on Statia just after Irma. This species prefers wetlands, which Statia lacks, so they moved on quickly. Birds can also change their behavior after a hurricane in ways that make them easier to see. 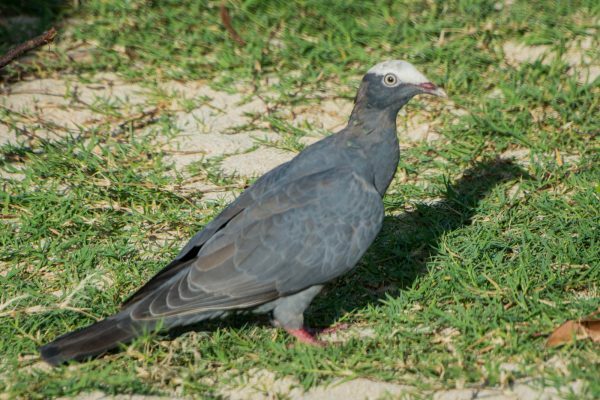 Scaly-naped and White-crowned Pigeons have been seen in urban areas on several islands after Irma, including St. Martin. While these species are native, they prefer forested hilltops. The destruction of their habitat may have brought them down in search of food. Domesticated animals set loose by the hurricane aren’t exactly wildlife, but they could become wild. Free-roaming pigs made headlines several times before they were recaptured. We were visited by a Cockatiel and a Lovebird during the weeks after Irma. Like many native birds, they had come to us for food. Friends saw a rabbit hopping around Simpson Bay. 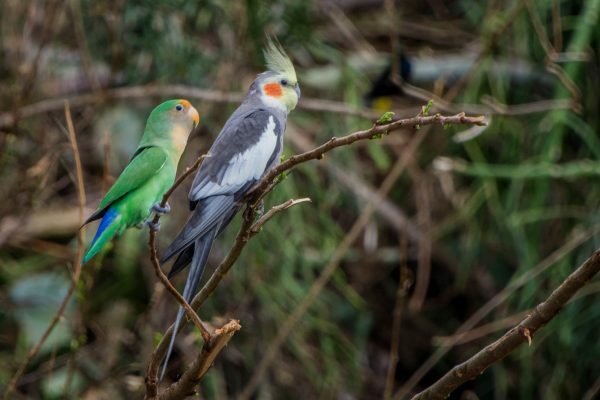 Our exotic bird friends entertained us, but they don’t belong in the wild. Native species tend to find their way after a storm. They will continue their migration or head back to their homes in the hills as the forests recover. Hopefully lost pets and livestock will find their way home as well. If they don’t some—feral pigs, for example—can have the potential to become dangerous to both man and nature. What Will Happen to Homes?